After explaining why we wear cycling caps and that they do more than signify your allegiance to a particular flavor of cycling, thought I should post more about traditions. 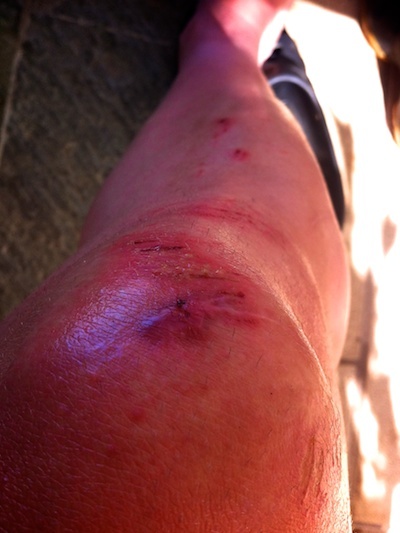 Leg shaving is what racers and enthusiasts do to prevent road rash. Observe this gory photo for why and this post for more why. That scar was later reopened in another incident and happened originally after crashing in a cross race and landing directly on a flinty rock with my knee. If you ever see your knee bone exposed, you don’t want to push hair out of the way to get in there to clean it. I simply washed the grime, dirt, and mud away without globs of hair in the way and tried to not pass out while doing so. Also smoothly-shaven legs feel great in skinny jeans AND when it’s hot, the wind flowing over them has a cooling effect cause sweat is quickly evaporating. Are they more aero? Yeah, sure, whatever and so is a slight beer belly on a Masters racer. Shaved legs definitely show off how cut you are. Like a cap, whether you wear it or not is up to you, but sure it signifies you’re part of the club or a tradition that seems lost these days in Strava. That’s the athletic prosthetic culture where competing is digitized. 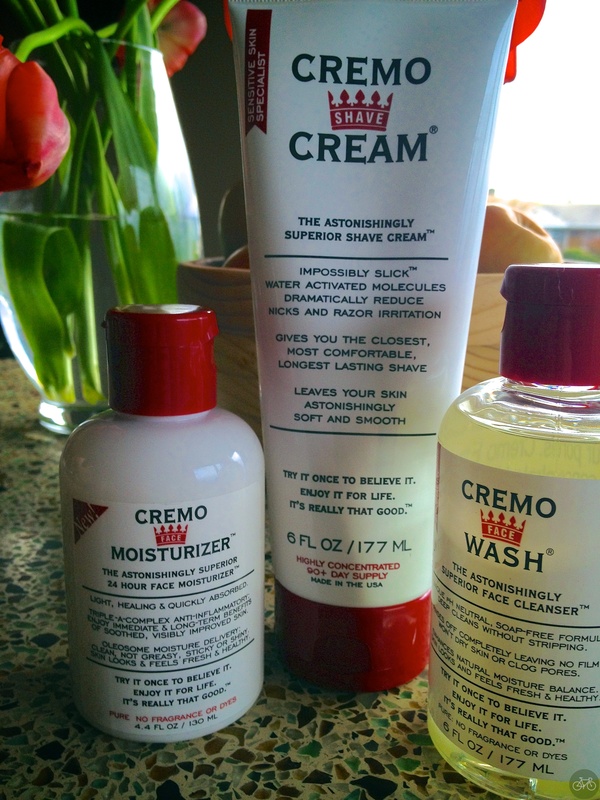 To get the best shave, I use Cremo Creme that’s like a super-refined conditioner and finish it off with their lotion. You can use any shampoo, shaving creme or conditioner really, just as long as it lubes the skin and lifts up the hair. As much as I like Cremo, prefer a traditionally foaming creme for the face like C.O. Bigelow Premium Shave Cream with Eucalyptus.